Hello, Seocho tourist information center !! Today, the lovely couple form north Carolina visited to here. 재밌는추억도 남겼다고 ~ 정말 좋아라 하셨어요 !! They are building the good relationships. They left good memory in Korea. They were so excited. 럭키 박스는 덤으로 얻었어요 !! They joined our SNS event and got the lucky box. 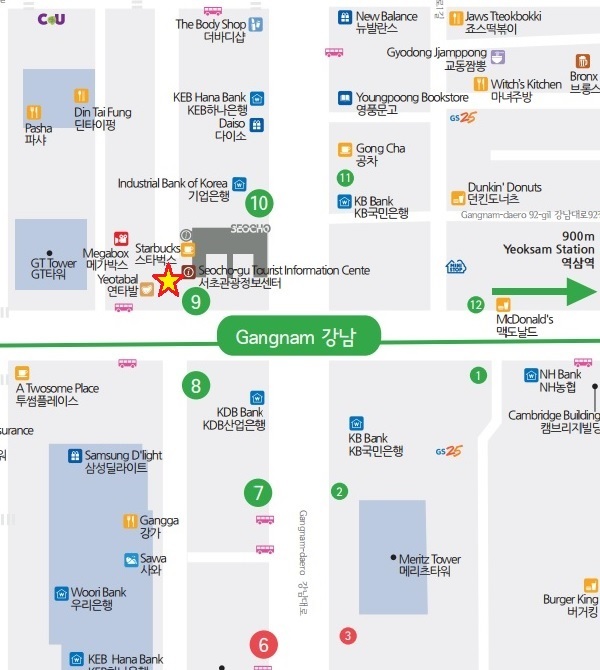 You can visit to Seocho tourist information center which is located to the exit 9 of Gangnam Station. Have a fun in here.